Wednesday, June 21 2017, 11:30 a.m.
Wednesday, July 19 2017, 11:30 a.m. There is a housing crisis in Palm Beach County. The current median gross rent of $1,900 is unaffordable for 80 percent of renters and 75 percent of households do not have adequate income to buy a single-family home at the current median price of $327,00. HOUSING SUMMIT 2017 is the starting point for a convening of interest groups to find solutions. On Sunday, June 25, PBCLWV will be training the INDIVISIBLES in registering new voters. 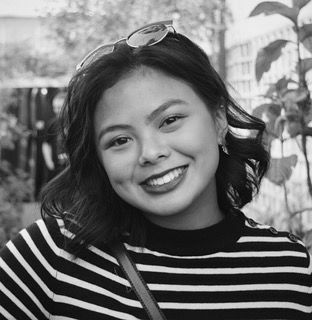 For anyone losing faith in the humanitarian values and character of today’s youth, take heart – and meet Faith Maniti, our recent LWV intern who is working with Christine Campbell Gabor on the Civics Education Committee. The Observer Corps has had a busy month! Besides monitoring the local school board and commissioners meetings, we assisted with the Legislative Wrap-up on May 25. All members agree that participation in the Corps is an exciting, enlightening, and educational experience in local government. Photo of Observer Corps members enjoying a meal together between meetings. 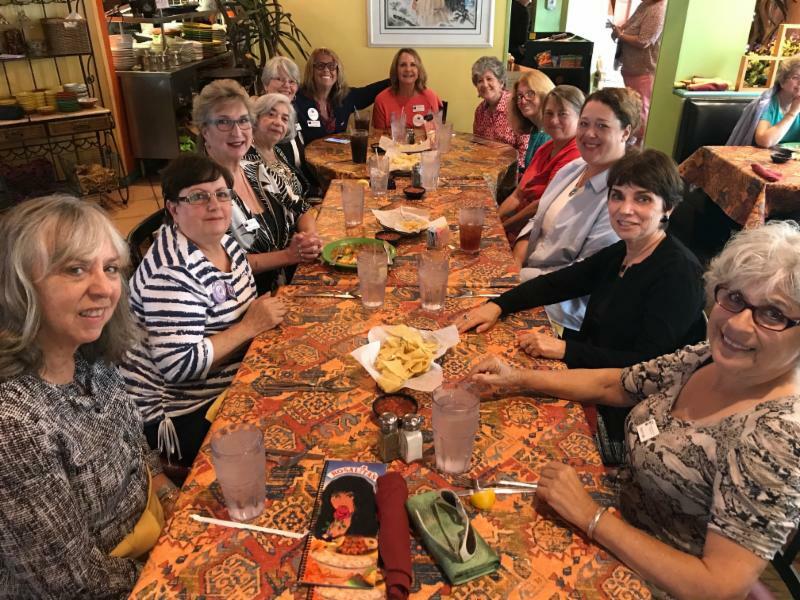 From left to right: Clare Miller, Sheila Jaffe, Debra Chandler, Barbara Katz, Rosanne Brandt, Joyce Smookler, Carol Stender, Nancy Ballen, Rosanne's sister Lee Barberich, Kathy Dull, Kate Gettinger, Nikki Descoteaux, and Arlene Ustin. Thursday, June 20, 1:00 p.m.
"Fake News" -- when did it begin? According to the Telegraph, it started as early as 1828 during the election when Andrew Jackson started a rumor about John Quincy Adams. "Fake News" was resurrected with a vengeance in 2016 at a press conference when the President-elect accused CNN of Fake News. Since then it has become a common household word. On Saturday, August 12th, LWVPBC will host a panel discussion including Print, TV, and Social Media experts. Join us at The Palm Beach Post Building at 9am. This is our first Saturday Cold Topic meeting. Midnight in Broad Daylight by Pamela Sakamoto is a fascinating documentary about a Japanese family that has settled in California, but maintains close ties to relatives in Japan. It spans the time prior to World War II, through the war, and after the war recovery. Most of the American-based family are sent to internment camps. One brother ends up a high ranking interpreter as part of the intelligence division. This book gives you both the emotion and struggle that existed within our country and between separated families that found themselves on different sides in a bloody war. Are you an Amazon Shopper? Great – now you can take advantage of Amazon’s generosity to nonprofits. Here’s how: when you shop, use Smile.Amazon.com and specify your donation of choice to go to LWVPBC Education Fund. Amazon sends a percentage of your purchase to us – Painless Donations! Our Education Fund is registered with IBM for matching donations – that is, if you make a donation to the Ed Fund, IBM will send an amount equal to your donation. The League needs a photo editor. Someone to go through the images we receive, choose the best and share them with our publication team. We estimate two hours a week.